Chapter 8, The Musical Ape, discusses why it would have been important for our ancestors to pay attention to Nature’s sounds and how their responses may have contributed to our becoming a remarkably musical animal. I also mentioned that some animal calls have an ABA structure. However, I did not talk about a remarkable feature of music, namely it’s highly repetitive nature. My attention was directed to repetition in music by reading Elizabeth Hellmuth Margulis’ recent book (On Repeat. 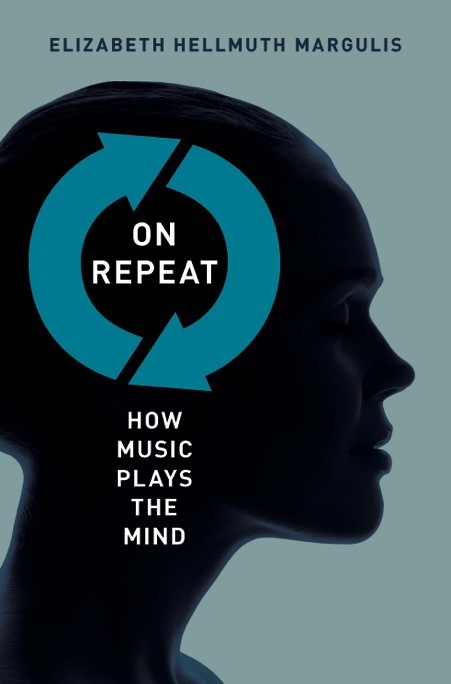 How Music Plays The Mind, 2014, Oxford University Press), in which she provides an in-depth analysis of the question – why does music repeat so much? To answer that question she assembles information across times and across cultures. The general function of repetition, she claims, is to direct the hearer (listener) to pay special attention to the thing being repeated; that is, repetition functions to manipulate attention. But, as Margulis emphasizes, we seek, indeed tolerate, much more repetition in music than we do in speech. Her extensive, insightful, and evolutionarily oriented analyses stimulated me to think more deeply about nature’s sounds and explore the kinds of sounds our remote ancestors might have made and how they used them to see what insights into music’s highly repetitive nature might emerge. The sounds of nature are generated by the physical, biological (all species other than us) and social environments. Sounds caused by physical events (thunder, volcanic eruptions, waves, gurgling brooks, and wind in grasses and trees) differ in many ways, but they are dominated by relatively brief elements that pulse in intensity and are regularly repeated. Thunder typically comes in bouts, no two of which are exactly alike but we know what is happening and pay close attention to the repeats and use the time between the flash of light and the sound to infer how close a dangerous lightning strike might be. The sound a wave creates when it crashes on a shore is brief buts a similar sound is generated by the next wave a few seconds later. The sounds of brooks and wind in trees and grass are more continuous but their intensity varies with wind speed, which alternates between relatively gentle and stronger gusts. In short, relatively brief but repeating elements characterize most of nature’s physically generated sounds. Vocal animals are found among many insects, some crustaceans, a few fish, most frogs and toads, a few lizards, and most mammals and birds. The calls of insects and amphibians are generally short, simple, and highly repetitive. Birds are the most vocal of animals; their songs are the most complicated of animal vocalizations. Nonetheless, most songs last no more than a few seconds and are quickly repeated. The most gifted songsters may include a number of types during a song bout. Many birds learn their songs by listening to others; local song dialects may develop and change over time. The calls of most mammals are much less complex than those of birds. Only a few species, notably whales, learn their vocalizations and develop dialects. Primates have relatively simple, innate calls. The most complex calls are those of gibbons, some monkeys and one lemur that function, as do manny avian songs, as territorial advertisement. None of them are similar to what we would call music. Our remote ancestors almost certainly had vocalizations no more complex than those of our closest ape relatives. Thus, our ancestors, who would clearly have benefitted from paying attention to nature’s sounds and obtaining vital information from them, would have been attending to and learning from the rich repetition that characterized their sound environments. Michael Tomasello (2014) developed a compelling argument that the evolution of our unique language and complex ways of thinking was driven by the fact that our ancestors had mutually shared goals that could be achieved only if individuals cooperated, rather than competed with, one another. He argues that the critical first step in the long and complex pathway to modern human cognition was the development of collaborative foraging, that is, the pursuit of prey that could not be captured by solitary hunters. In today’s cultures music typically is intimately tied to dance. Indeed, people in many cultures do not consider something to be music unless you can dance to it. Moreover, dances often involve imitations of the vocalizations and behaviors of animals, especially those that are hunted. Dances are structured around short, repeated movements patterns accompanied by repeated musical rhythms, typically played on drums. Observers tap their feet and slap their thighs while following the music and dancing. The combination of the highly repetitive structure of nature’s sounds, the importance of imitation of animal sounds and behavior in dance, and the intimate association between music and dance, suggest that attending to repetition and obtaining valuable information from patterns of repetition would have had substantial survival benefits to our ancestors. If so, both generating and listening to repetition in dance would have evolved to be highly rewarding. Only later did our ancestors add melody and harmony to music. With those additions music became more complex but comprehension of the structure of lengthy compositions still depends on repetition.